We are happy to welcome the Slack integration to our list of Fleep integrations! Slack and Hipchat are great team communication tools – but they are limited to internal communications. As such, they lack the possibility of communicating across team / organizational borders. The Slack integration with Fleep makes that possible. More specifically, this means that you can now integrate a Slack channel with a conversation in Fleep. As a result, all messages posted in the respective Slack channel will also show up in the connected conversation in Fleep – - and vice versa. Let’s say you’ve been added to a team on Slack or perhaps are working with a team who uses Slack for their internal communications. But really, you prefer to use Fleep for managing all of your conversations. Now you can integrate any Slack channel with a conversation in Fleep – and continue to use only Fleep for your communications. You will see all messages from the respective Slack channel(s) in Fleep, and you can respond to them directly in the Fleep conversation! All you need for configuring the integration is to set it up on both Slack’s side, in the respective channel, and in the conversation you wish to connect in Fleep. 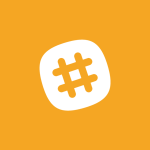 If you’re not a member of the team you wish to connect with in Slack, you may need the help of your friends using Slack in steps 2-6, to get the right Incoming webhook URL (which will be the Outgoing URL in the integration setup for the respective Fleep conversation). P.S. If you or your friends are still wondering about the differences between Fleep and Slack, check out the answers on Quora for some clarifying explanations: Quora - What are the key differences between Slack and Fleep? As always, if you have feedback or questions for us – get in touch at support@fleep.io. Let’s also stay in touch through our social media channels - Twitter, Facebook, LinkedIn.